San Antonio Stars Announce New Head Coach! Vicki Johnson was named as the next head coach of the San Antonio Stars. Prior to the 2015 WNBA season Stars head coach Dan Hughes announced his plans to retire at the conclusion of the season. 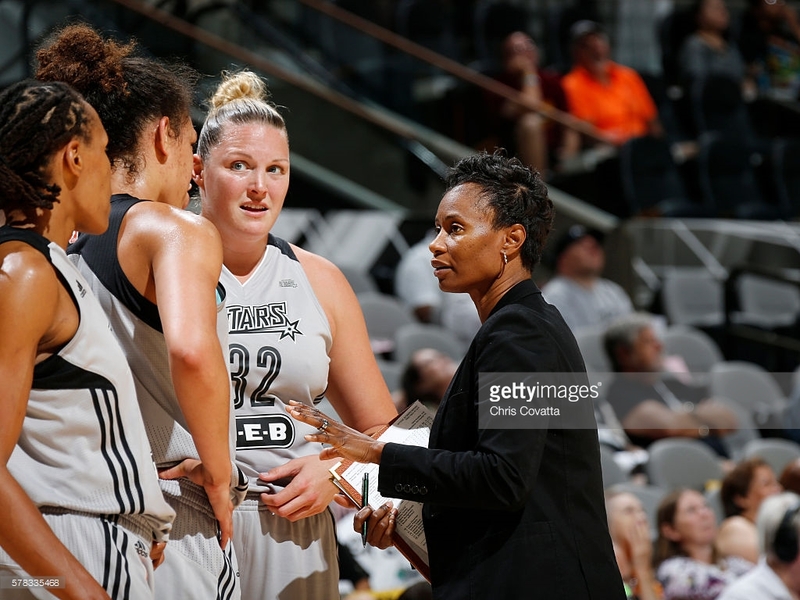 There ended up being three head coaching vacancies in the W after Stephanie White of the Indiana Fever announced her plans to leave the Indiana Fever and take the head coaching job at Vanderbilt University at the end of the 2015 season. The Chicago Sky relieved Pokey Chatman of her head coaching duties last month and the Fever quickly hired Chatman as their new head coach. Subsequently, the Chicago Sky hired Los Angeles Sparks assistant Amber Stocks as its new head coach. Many wondered when the Stars would announce their hire especially since they’ve known longer than any other team that they would need to fill this vacancy at the conclusion of the 2015 WNBA season. New General Manager Ruth Riley was tasked with her first major decision in her new position in selecting the new coach of the San Antonio Stars. With a young group that is destined to change the course of the recent past, the new head coach will be determined to build this program back to its brighter days. The Stars hired Vickie Johnson who has been a long time assistant with the organization under former coach Dan Hughes. Johnson has been an assistant with the Stars since 2011 after retiring from the WNBA. Johnson played for eight seasons with the New York Liberty and four with the San Antonio Silverstars. The league is beginning to see the value in placing former players in high positions to continue to grow the women’s professional league. Johnson has invaluable experience from being a player domestically and abroad. Under the tutelage of Dan Hughes who was one of the most successful coaches of all time, Johnson is more than ready for her chance at the helm of the Stars organization. Her first major decision as the new head coach will come soon enough as she will select #1 in the 2017 WNBA draft!